Get upgraded with intoPIX FPGA IP-cores & SDKs compliant video solutions with 4K HDR and 8K. 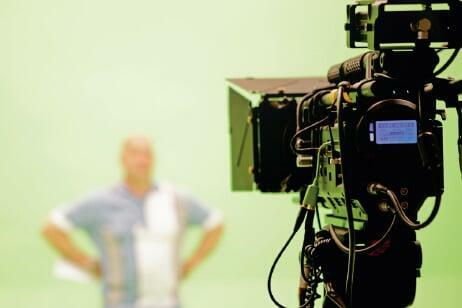 IT Networks start to be at the heart of most broadcast and media operations. intoPIX delivers the IP-cores and SDKs to create the products that support these operations. IP networking has revolutionized media contribution and distribution along with the SMPTE ST2022 and ST2110 standards which lie at the core of new Live workflows, dematerialised facilities and cloud-based operation. TICO compression (SMPTE RDD35 & JPEG-XS) and JPEG2000 Ultra Low latency compression (VSF TR01) are extending the network capacity to manage HD, 4K, 8K streams over IP (1G/10G/25G) keeping the lowest latency (down to a single millisecond) and a visually lossless quality. intoPIX JPEG 2000 perfectly suits broadcast needs. Its improved compression efficiency will provide a pristine image quality. Its resolution scalability seamlessly allows the extraction of small resolution proxies from the full resolution, a very useful feature on the acquisition site and during production. intoPIX has successfully participated interoperability tests organized by VSF with intel-and Xilinx-based reference designs. Moreover our efforts have been awarded by an EMMY AWARD in 2015. We have developed a wide range of JPEG2000 encoder & decoder IP-cores, as well as memory controllers and MPEG2-TS IP-cores to enable our customer to create competitive VSF TR01 solutions. In fields such as live events or broadcast, where time accuracy is a must and delays are not acceptable, an additional Ultra Low Latency capability has been added to the JPEG2000 IP cores, allowing processing delay of less than a frame between encoding and decoding. intoPIX works within the VSF J2K group to update the VSF TR01 specification to make use of the intoPIX JPEG2000 ULL encoder/decoder cores interoperable in broadcast facilities. The mapping of the TICO mezzanine compression to carry UHDTV 4K 60P over a single 3G-SDI cable has been specified in the SMPTE RDD35. intoPIX provides the needed building blocks to create a 4K over 3G-SDI solutions. Have a look at the intoPIX TICO IP-cores and peripheral IP to map the compression over SDI. As SMPTE ST2022-6, defines the transport of HD-SDI or 3G-SDI over IP, using TICO, it is easy to leverage an existing SMPTE 2022-6 system to carry up to three UHDTV 4K 60P streams over a single 10 GbE port using the SMPTE 2022-6 standard. SMPTE RDD35 specifies the RTP payload of TICO compression, enabling you to transport any video formats over IP with full flexibility and all the benefits of TICO compression. intoPIX JPEG 2000 and its mathematically lossless compression capability is the format for all applications where bit-to-bit integrity is a must. Providing images that have exactly the same information as the original, mathematically lossless compression provides pictures that weight an average of 2 to 3 times less. 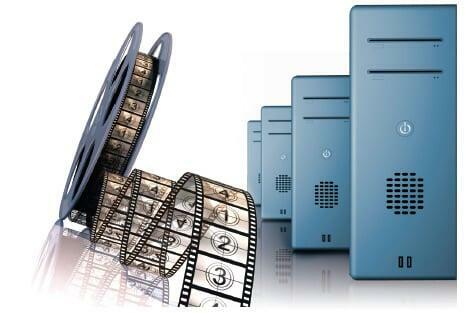 It is the ideal solution for long time digital archiving or for successive post-production stages of image processing. Furthermore, JPEG 2000’s resolution scalability will seamlessly allow the extraction of small resolution proxies from the full quality version, for content navigation purposes in archived data-bases or during post-production processes. It has already been proven. TICO can enable you to carry with lossless quality a 8K 60fps video stream over a single 10GbE link using TICO RTP payload and a SMPTE 2110 transport. It has already been proven. TICO can enable you to carry a 8K 60fps video stream over a single 12G-SDI link with lossless quality.